Users across the globe prefer Android over other platforms due to its user-friendly interface and customizability. Due to its popularity, it is often targeted by hackers for malicious purposes. Android is well known for free apps which most users enjoy. With free apps, there is also an increased risk of malware and other types of malicious codes affecting the devices. A good security app for Android devices (antivirus software) should offer protection from all kinds of malware attacks and also remove existing ones if any. There are plenty of security apps for Android devices and here are some of the best Security Apps for Android Devices in 2018. We have listed them based on the features, protection, and usability. 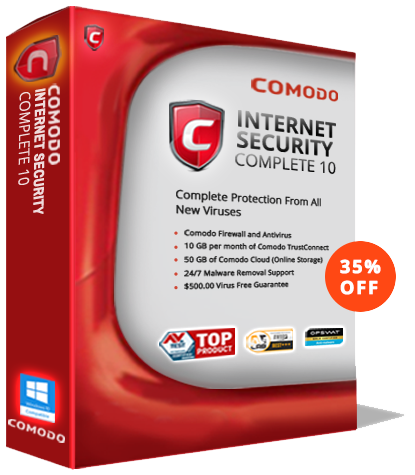 Comodo Mobile Security is one of the most feature-rich antivirus apps available for Android. Apart from essential virus scanning feature, it offers other premium features like Real-time protection, Secure Browsing, Secure Wi-Fi, Call Blocking and Remote Command to name a few. Apart from the above features, you can also manage all your devices through one personalized account on Comodo Mobile Security app. You can access your devices any time through a secure Web Interface to make sure your personal data is secure. These features make Comodo Mobile Security a preferred choice for securing your Android device. Avast Mobile Security app offers similar features to Comodo Mobile Security but some of its features like App Lock, Anti theft etc., are only available to its premium users. Avast Mobile Security can detect different kinds of malware without affecting the performance of the smartphone. Avast Mobile Security app also cleans up unnecessary data like system caches, gallery thumbnails, and residual files from your Android device. Bitdefender is well known for its antivirus products in the security community and its antivirus for Android is one of the most lightweight antivirus app. Similar to other antivirus apps available on Play Store, Bitdefender Antivirus app provides basic protection against malware. The Free version of the app has limited functionality. In order to access all the features, you need to subscribe to the premium version of the app. The Free version usually has a trial period of 14-days after which you need to purchase it. AVG is well known for its free antivirus which offers protection against all kinds of malware. It also offers other useful features like Phone Locator, Task Killer, App Lock, and Wi-Fi Scanner to name a few. However, AVG Antivirus app lacks features such as a Message Filter, Parental Control, and Encryption. Kaspersky Mobile Antivirus app is good at detecting all types of malware. The free version of Kaspersky Mobile Antivirus has similar features to that of other antivirus apps available in the Play Store. Features like App Lock, blocking malicious sites and links during web surfing etc., are available only for premium users. There has been an increasing number of Android malware year-over-year and the best way to protect your Android device from those malware and phishing attacks is by using a full-featured antivirus software that offers all-around protection. Comodo Mobile Security app, which is available on Play Store, offers several premium features like Traffic Monitoring, Backup, Private Space, App Locker etc., for free. Other Security Apps for Android Devices offer those features only for premium users. So, if you are looking for the best antivirus for Android that ticks all the boxes in terms of mobile security, choose Comodo Mobile Security. With Comodo Mobile Security installed on your Android device, you don’t have to worry about malware and other types of malicious apps. Comodo Mobile Security app automatically prevents ransomware attacks and prevents malware from stealing your android device data.